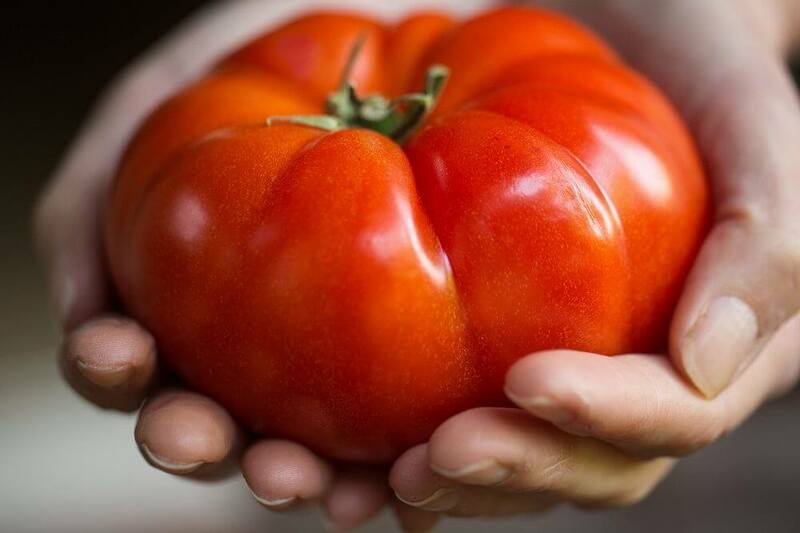 Takeaway: When is an organically grown hydroponic tomato not organic? When it’s Canadian, apparently. Is organic hydroponics even possible? The answer to this question is rather complex and strangely enough depends on which country you live in. We often think of ‘organic’ plant production as being strongly tied to the soil, with composts, manures and other ‘natural’ products the sole source of nutrients, which is a long way from the advanced technology of soilless production. However, if you are growing plants in the United States, then a soilless hydroponic system can most certainly become organically certified and be considered officially and legally organic if it uses the correct and allowable organic inputs. If you live in Canada, though—or most other countries around the world—then no form of hydroponic system can be labeled as organic, as soil is considered the cornerstone of crop production. This is where the confusion over whether hydroponic methods can be considered organic or not arises since the exact same soilless system would be considered organically certifiable in one country and totally non-organic in another adjacent country, it all depends which country you live in. It is the interpretation of the term ‘organic’ that leads to these discrepancies; different countries and different organic certification agencies have varying ideas about what organic actually means. To some, an organic growing system must incorporate soil, which excludes hydroponics, to others, so long as the plant is growing in a ‘natural’ soilless substrate such as compost or coco fiber or organic liquid nutrients then soil is not required in order for the system to be considered organic. Of course, for those not involved in commercial crop production this dispute over what organic means probably doesn’t matter so much; most of us just want to take a natural and sustainable approach to producing healthy, chemical-free fruit, vegetables and herbs for our own use. Since fully certified organic hydroponic systems are legally recognized in the United States, and many productive organic greenhouses are currently in operation, we really need to take a look at how these US growers manage their systems to get an idea of what is involved in organic hydroponics. The USDA National Organic Program sets the standards for what is allowable in organic systems and provides lists of allowable inputs. For hydroponic growers, the easiest way of finding out what they can and can’t use in an organic hydroponic system is to check out the OMRI Website. OMRI (the Organic Material Review Institute) provides a list of the allowable products, fertilizers, growing media, pest and disease control products and so on, which can be used under organic production. There are hydroponic products that are OMRI-listed as being organically acceptable and usually this information is displayed on the product label or on advertising. Some products that are OMRI-listed were not specifically designed for hydroponics, but can be incorporated into a soilless system anyway. The basic principal of true organic hydroponics is nutrient conversion—that is, the conversion of organic compounds into plant-usable nutrient ions via the action of microbes. Whether a plant is obtaining nutrients from a traditional non-organic nutrient solution or via organic fertilizers makes no difference to plant uptake; the root system absorbs the exact same mineral ions in both systems. However, in the organic system the nutrient ions first have to be released from organic materials, while in hydroponics we supply the nutrient ions directly via fertilizers dissolved into a solution. Although this microbial conversion process occurs naturally in soil, in soilless systems it requires a helping hand to speed up the process and keep it ticking over so that rapid plant growth will always be supplied with sufficient nutrients at the right time. Most commercial organic hydroponic growers use an OMRI-listed liquid fertilizer blend. There are huge numbers of these to chose from and larger growers often need to blend two or more to get the balance of nutrients just right for the crop they are growing. Liquid fertilizer products might also require some amendment, and organic production does allow for the use of some fertilizer salts, so organic hydroponic plants are not totally reliant on organic compounds alone. These allowable fertilizers have to be ‘naturally occurring’ and the OMRI list contains a good range of salts that can be used to boost the mineral content of organic nutrient solutions. Some of the allowable fertilizer salts include: boron (borax and solubor), calcium carbonate, copper sulfate, dolomite, iron sulfate, magnesium sulfate, manganese sulfate, potassium sulfate (the non-synthetic kind) and potassium chloride. Fertilizers that are considered synthetic, such as calcium nitrate, potassium nitrate, and monopotassium phosphate, which make up much of the volume of a standard hydroponic nutrient solution, are not allowable. Nutrient additives and boosters for organic production are widely available in various forms and humic and fulvic acids are also considered to be organically allowable. While organic solution culture systems do exist, smaller growers are advised to start out with a basic system that incorporates an organically-allowable substrate. This substrate will give you a good degree of buffering capacity and will provide an ideal environment for the nutrient conversion microbes, which form the basis of the system. Organically allowable growing substrates are listed by OMRI; many growers have found coconut fiber to be ideal and it is a substrate many hydroponic gardeners are already familiar with. Coco fiber for use in organic production can’t have had any synthetic materials added to it, including conditioning fertilizers or surfactants, and there is a list of OMRI-certified coco products provided. Some brands of peat, perlite and vermiculite are also listed as OMRI-certified, which will allow you some flexibility in terms of blending your own growing medium and using these as propagation materials. Many commercial organic growers blend coconut fiber with other materials such as compost or vermicast (worm castings) as these materials not only provide a small amount of readily available nutrients but also a wide range of microbial species, which can immediately start the nutrient conversion process when fed organic nutrient solutions. The substrate forms the basis of any organic system and to make sure it is going to perform well with organic nutrients it can also be inoculated with one of the many microbial products, which are considered organically allowable. This inoculation process should be continued throughout the plant’s life. Beneficial microbial products for addition to the nutrient solution or drenched into the root zone have become common additives in hydroponics anyway, but they are even more essential when using organic solutions. New organic substrates incorporated into a hydroponic system should be conditioned before use—that is, fully moistened, inoculated with microbes, fed a small amount of organic nutrient and left to sit in a warm growing area for at least a week or two before planting out. This will give the microbial communities time to get established and build up their numbers before starting to break down organic compounds into plant-usable nutrient ions—all ready for the first plants to go in. Once your plants are in place, your irrigation system will need to be run a little differently than it would be in traditional non-organic hydroponics. Drip irrigation is advised, as the root zone should never be oversaturated—only a small volume of leachate from the base of the growing containers is required. The root zone in organic systems is finely balanced between the requirements of the nutrient conversion microbes and the root system itself. Both require high levels of oxygenation and overwatering will prevent much of the aeration that should occur in the pores of the growing medium. Organic systems have a higher requirement for oxygenation in the root zone due to the heavy populations of microbes, which are required and many organic crop failures are directly attributable to overwatering or poor aeration. EC and pH control in hydroponics is also different in organic systems; many organic nutrients don’t conduct electricity, so EC readings might not provide a true indication of the concentration of an organic solution. Levels of pH also tend to run higher in healthy organic systems than many growers are used to maintaining in standard hydroponics. Since pH-lowering acids like nitric and phosphoric commonly used in hydroponics are not organic, your pH is best left to stabilize on its own. Some organic nutrient products naturally have a very high pH, so growers should try to select those with a more suitable pH range for use in their soilless systems. Once growers have established a healthy root zone and are feeding their plants with a suitable organic blend of nutrients, the next issue with organic production tends to be pest and disease control. Under organic production standards the range of sprays for common plant problems is rather restricted—synthetic or chemical pesticides and fungicides cannot be used, which eliminates some of the more effective controls many hydroponic growers are reliant on. With organic production, prevention of pest and disease problems becomes even more essential. Screening vents, double-door entrances, close inspection of planting material coming into the growing area, sticky indicator traps and monitoring of plant health are all important steps you can take to either prevent or catch an infestation early on. Of the organically allowable pest control products, many indoor gardeners are already familiar with neem oil and extracts, which are derived from the Indian neem tree. Many neem spray products are OMRI-listed as organic and they can give you good control over a wide range of insect pests. Beneficial and predator insects as part of an integrated pest management program are also widely used by organic growers and there is also a range of microbial spray products available, such as BT for caterpillars. Disease control can be little more complicated, although there are biological controls available such as Beauveriatreatments and other non-synthetic fungicides based on microbial species. Copper and sculpture sprays for bacterial and fungal infections can be used in some cases and hydrogen peroxide is allowable under United States organic standards for cleaning and disease control. Many of the problems growers new to organic hydroponics encounter originate from a lack of understanding of their new growing system, which, although soilless, is still quite different from standard non-organic hydroponics in terms of plant nutrients and many other factors as well. Finding suitable nutrient sources is the biggest hassle many will face as most organic fertilizer products are designed for soil use and often products need to be blended or boosted with allowable fertilizer salts to get a well-balanced nutrient with all the essential elements for plant growth in soilless systems. Nutrient deficiencies can be common in organic hydroponic systems, with calcium often being difficult to supply in plant-usable form without the use of calcium nitrate—which is not considered organic. Growers using a hard water supply containing some naturally-occurring calcium have a distinct advantage, which many greenhouse growers have discovered. Nitrogen can also be a problematic element, as organic nitrogen sources are reliant on microbial action to break down organic compounds fast enough to supply all the nitrogen required for plant growth. Hydroponic plants are heavy feeders of nitrogen and sometimes growth can outstrip supply, so, with common hydroponic nitrogen fertilizers such as calcium nitrate and potassium nitrate not permitted under organic production, nitrogen nutrition can sometimes limit growth. This all means that organic hydroponic growers need to have a good understanding of what healthy plants should look like as well as being able to recognize the early signs of any nutrient deficiencies. For those completely new to organic hydroponics the ideal plants to start with are those with lower nutrient requirements. Crops like lettuce, salad greens and many herbs can usually be grown in a coco fiber/vermicast mixture with a dilute liquid nutrient—carefully drip-irrigated to prevent saturation of the root zone—with good rates of success. From there your system can be upgraded to produce more nutrient-demanding crops such as tomatoes, cucumbers, and capsicum. With a little skill and experimentation using the wide range of organically allowable products and materials listed by OMRI, organic hydroponics is certainly achievable, but whether or not your crops will be recognized as organic will depend entirely on which country you live in. I have organic sources of N-P-K on hand already. How would I go about mixing them to the correct N-P-K ratios?